A cosy home is a happy one. Now the winter months are approaching it’s time to make your home cosy and prepared for the colder end of year weather. Why Create A Cosy Home? Creating a cosy home can help you relax and unwind easier during the autumn and winter months. There’s no better feeling than getting on the sofa with a blanket and watching a film after a long day at work. Unfortunately, the summer months are over and it’s time to match your home decor and layout to fit the weather change. It’s a nice feeling to be cosy and comfy in your own home during the winter months as it leads up to the festive season. Creating a cosy home doesn’t mean spending thousands on new furniture and revamping your property. Making your property cosy can be simple and be cost-effective. 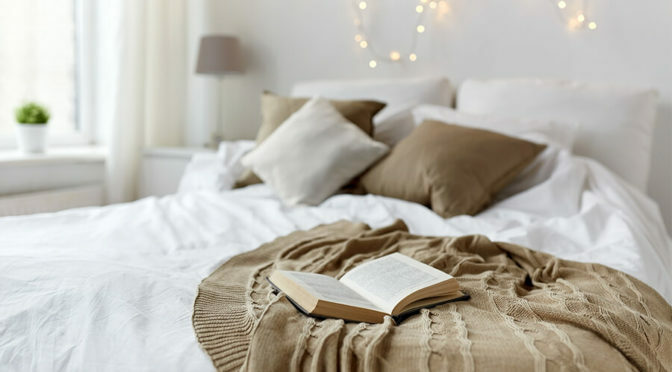 If you want to alter your home leading up to the end of this year, we have devised a list of things that you can do in your home to make it more cosy and relaxing. So keep reading! It’s a horrible feeling waking up on a cold winter morning to cold wooden floors. The coldness can send a shiver up your spine in the early mornings when your half asleep. A wooden or hard flooring also retains heat less, meaning that you’re more likely to have a colder home in general if you don’t have carpets or rugs. Although carpets are slightly more high maintenance than wooden floors and require more maintenance, they give your home a more overall comfy feeling. Take a look at some of the carpets on Tapi, all of the carpets are easily fitted and provide utmost comfort in your home. If you do have any spillages or problems, a Rug Doctor can sort it out in a matter of minutes, or Vanish Carpet Action. For the ultimate comfort feeling when walking around your home, a fantastic solution could be to install underfloor heating. Underfloor is reasonably cost-effective and also helps retain and warm up your home as well as your general home heating. It eliminates the need for slippers and big woolly socks and can make walking around your property during cold weather a lot more comfortable and cosy. By installing dimmable lighting, you give yourself the option to alternate lighting settings dependant on the setting you want and your mood. If you are sitting in the living room on the sofa with a blanket, it can be difficult to relax and become drowsy if you are sat in an environment with blinding LED lighting. Although LED lighting is a common feature in modernised homes and is energy saving, there are dimmable options and different coloured LED bulbs for a soft, soothing lighting rather than something bright used in kitchens. Dimmable lighting can either be remote controlled or a twisting fixture on your wall which you turn to brighten or dim the room. More often than not, homeowners choose to use dimmable lighting in their living room and bedroom, as these are the rooms you tend to relax in the most. If you are sat in bed reading a book or watching a film, the bright light can make it difficult to become tired or relax. Dimmable lighting creates a more calming atmosphere and can help make yourself drowsy and ease yourself to sleep – which is why they are a popular option for children’s bedrooms. We offer dimmable lighting in our loft conversions Aylesbury. If you didn’t want to pay the expense of installing dimmable lighting, another thing you can do is to install fairy lights. A lot of people wrap fairy lights around their bed boards or lay them across fireplaces as an alternative to their bright lighting fixtures – and they make your home look fantastic! When was the last time you replaced the worn out, marked cushions on your sofa? If you are really looking to spruce your living room up and make it as cosy as possible a really good way of doing this could be replacing your sofa cushions and blankets. One of the best feelings in the world is climbing onto the sofa after a long day at work with a cup of tea and relaxing. One way to make this experience even better is with some big puffy cushions and plenty of comfortable blankets. We love these big cushions from Furniture Village, and for comfortable throws, we love these from JYSK. Candles can make your property smell beautiful and create a calm, relaxing aroma. One of the best things about candles and incense is that you can purchase scents and fragrances that can calm your senses and make your property cosier. Yankee Candle offers a variety of different sizes of candles with thousands of scents to choose from. If you want to set the scene in your property and make it comfortable, we recommend the lavender scented candle for optimum relaxation. You can purchase singular candles, or they even offer a lavender collection. If comfort is the main priority in your home, there are seating options available that alternate away from a standard sofa or armchair. We love these hanging chairs from Simply Hammocks that put a unique touch in your home and make cosying up in the evenings a lot better. If you don’t want to use hanging chairs inside your home, they are a fantastic decor item for outside. As well as this you can purchase big fluffy bean bags to relax on if you want to change up the standard sofa. Or if your sofa is slightly older and worn, why not replace it? We love the sofas on Sofology. Using these top tips, you can make your property really cosy and fresh for the upcoming months. Making your property cosy can make you happier in your home and can be fantastic during the winter months. For any more information on loft conversions Hemel Hempstead, please contact one of the members of our team today for more information.